1. Fatty liver disease might increase the risk of abdominal operation in patients with fatty liver and the prevalence of cancer in first-degree relatives. Turkish Journal of Gastroenterology. 2014. 25(S1):138-141. Cited only by its retraction, according to Thomson Scientific’s Web of Knowledge. Retracted May 2015. The following article is retracted from publication in Turkish Journal of Gastroenterology by decision of editors of the journal since it is a duplicate publication, which has been previously published in Wien Klin Wochenschr. 2015 Apr 14 DOI: 10.1007/s00508-015-0744-4. 2. Environmental resistance and mechanical performance of basalt and glass fibers. Materials Science and Engineering: A. 2010. 527(18–19): 4708–4715. Cited 62 times. Retracted July 2015. The article duplicates significant parts of a paper that had already appeared in Mater. Des., 2010, 31 (9) 4244–4250, http://dx.doi.org/10.1016/j.matdes.2010.04.009. One of the conditions of submission of a paper for publication is that authors declare explicitly that the paper is not under consideration for publication elsewhere. In other cases, some co-authors republish material without the consent of his or her former co-authors – as in these next two examples. #4 may be a short and sweet notice, but it likely left a bitter taste for three authors not included in the remaining version. 3. A study on cognitive impairment and gray matter volume abnormalities in silent cerebral infarction patients. Neuroradiology. 2015. 57(8):783-9. Authors: Wei Luo, Xun Jiang, Xiaofeng Wei, Shanshan Li, Mengxiong Li. Zero cites. Retracted January 2016. The editor and publisher of Annals of Nutrition and Metabolism wish to state that the above article has been retracted from the journal due to double publication [Acta Diabetol 2009;46:183–189]. Retractions also can result when authors reproduce the same study in different languages (get it? Because this one is about sperm…). 5. Correlation of sperm associated Antigen 11 (SPAG11) and its isoforms with varicocele in rats. 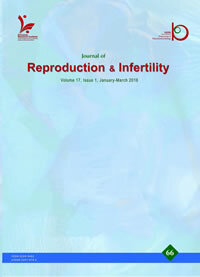 Journal of Reproduction and Infertility. 2012. 12(4):241-247. Authors: Hong Tian, Yong-Wei Huo, Jin-Song Zhou, Li-Rong Wang, Qiu-Yang Zhang, Shu-Dong Qiu. The journal is not indexed by Thomson Scientific’s Web of Knowledge. Retracted July/September 2015. The Editorial Board of the Journal of Reproduction and Infertility (JRI) has recently confirmed that the manuscript titled: “Correlation of Sperm Associated Antigen 11 (SPAG11) and its Isoforms with Varicocele in Rats”, written by Hong Tian et al, published in volume 13, issue 4, pp. 241-247 has been published previously in Chinese. Therefore this paper is retracted, considering the fact that it is contrary to the journal’s policy. We regret the time that peer reviewers and others spent for evaluation of this paper and hope that there will be no repetition of this problems in the future.